Have you ever wondered how to wash your clothes while camping? Camp laundry isn’t really a concern for weekend campers, but it’s definitely something that those on long camping trips are concerned about. Fill a plastic bowl or bucket with water (warm water heated on your campfire is best). Add a little detergent and then add in your clothing. Scrub away with your hands, give the clothing a quick rinse with clean water, and then hang to dry. 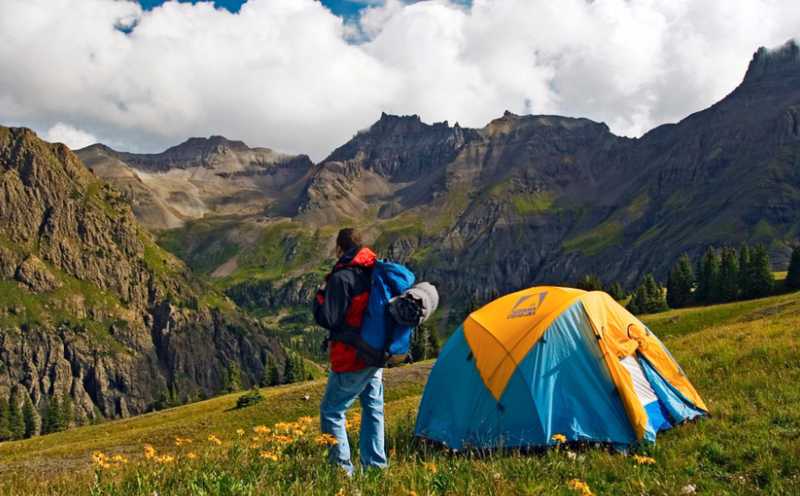 Do your camp laundry with the trash bag method. Place your clothes in a clean garbage bag with some soap and water. Jostle the bag around (similar to a washing machine’s spin cycle), rinse with clean water, and hang to dry. If you have a set base camp, a portable laundry system is undoubtedly the most efficient way to wash clothes while camping. The Scrubba Portable Laundry System Wash Bag is a lightweight way to quickly wash your clothes while camping. Never use normal detergent when doing your camp laundry. Always select an eco-friendly detergent. Like always, What’s your favorite way to wash your clothes while camping? Do you have any other wilderness laundry tips?